Even before this year’s colossal hit X-Men: Days of Future Past debuted, 20th Century Fox was already making plans for a follow-up in the form of X-Men: Apocalypse. 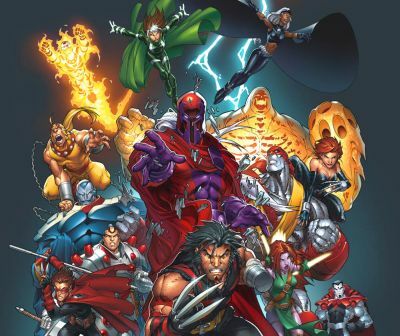 Since then, a few more details on the film have been revealed, including what mutants could pop up and who could return, but so far the majority of what we know is that it will focus primarily on the returning “First Class” characters. Series writer and producer Simon Kinberg took part in a Q&A with Yahoo! recently in which he was asked about the upcoming film and whether we might see some of the other future mutants (Kitty Pryde, Bishop) return for future X-Men films. Despite being purposefully vague about whether or not these characters could appear in the film, Kinberg has already mentioned previously that some of the original characters will be present for the next movie. It could be argued that he was referencing Hugh Jackman’s Wolverine or perhaps Patrick Stewart’s Charles Xavier, but given director Bryan Singer was quoted as saying he wanted to introduce “familiar characters at different ages” in the film, it seems likely we’ll be seeing younger versions of the original cast. Kinberg, along with X2: X-Men United writers Dan Harris and Michael Dougherty, is developing the screenplay for the film which Bryan Singer will return to once again direct. X-Men: Apocalypse is set for release on May 27, 2016.